PEMBROKE, ONTARIO; Ms. Deborah Gleason appointed General Manager of Riverview Heights Retirement Residence as of March 11, 2019. Ms. Gleason is a Registered Practical Nurse with over 30 years of management experience in a unionized environment, and an extensive background in assisted living services in this community. She is highly motivated with a solid track record of delivering a person-centred approach to care. Deborah is a self-starter with well-developed initiatives and the ability to balance multiple competing demands, without compromising the quality of client care. Mrs. Gleason is a lifelong resident of Pembroke and the Ottawa Valley who will model professionalism, loyalty and teamwork with a high standard of ethics and a hand on style of getting the job done. Residents, families and staff have welcomed Deborah with open arms in the tradition of Riverview Heights. 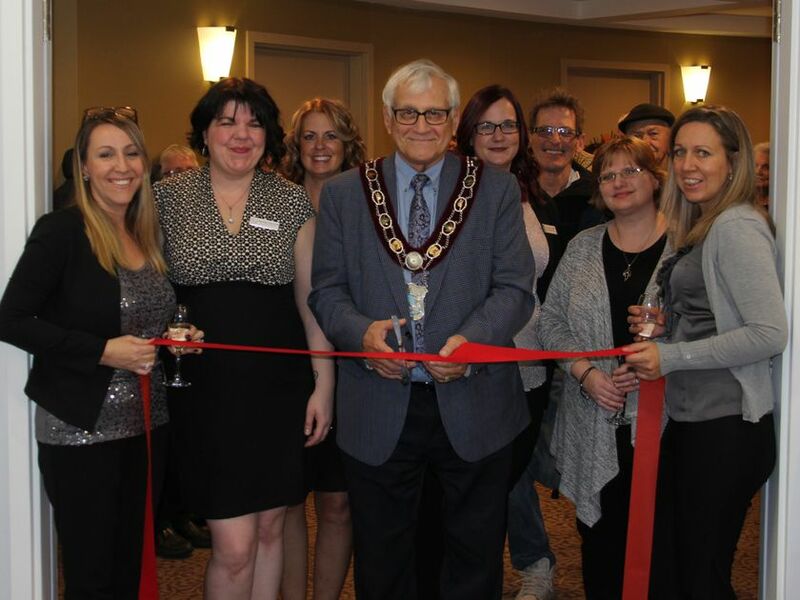 On Wednesday, Nov. 14 Riverview Heights Retirement Residence celebrated two special occasions – its 10-year anniversary and also the official opening of its new assisted care floor. Between 2 and 4 p.m. an open house was held giving the community an opportunity to tour the revamped second floor that features 19 assisted care beds located in studio suites and one-bedroom suites, and a new lounge, nursing station and dining area for residents who may require physical or minor cognitive support. Independent senior living consultant Christine Forget is impressed by the new assisted care floor. “This is unique to see. It just does not exist in the Valley. It’s great that on the 10th anniversary of Riverview Heights in this building, to be able to officially open this assisted care floor that is unique to Pembroke and the region,” Forget said. Randy Stevenson, president of Barclay Commercial Corporation, and who serves as an asset manager for the local owners of Riverview Heights, said the marketplace here needed assisted care beds as there just weren’t any in the area. “The idea is to keep the medical staff close to the residents with the highest needs,” he said. Stevenson also noted that each of the suites features a kitchenette, and in the basement of the building, a full ‘country’ kitchen that residents can use should they wish to cook something bigger like a turkey dinner. While residents can pay for laundry service, there is a laundry room in the basement they can use. During the open house, Pembroke Mayor Mike LeMay brought greetings from council to the management and staff of Riverview Heights and congratulated them on the successful completion of the project. In her remarks, Edwards said she was both excited and honoured to finally be able to present the revamped space. “So many have worked so long and worked so hard on this,” she said. “A project like this doesn’t get accomplished without ‘team,’ a compassionate, caring and driven team,” she said.